Today’s feature comes to you by way of fellow freelance writer, blogger, and Winston-Salem Townie, Naomi Gingerich. While Naomi’s story is fascinating in its own right, her guest post tells the tale of Gwen Roach and her husband, Graham who moved to Winston-Salem to connect with the land, create their own homestead (Winstead Farm… Winston-Salem homestead, get it? ), do work that feeds their soul and build a meaningful life for their family. Enjoy the read and be sure to visit the Roach family tomorrow at Cobblestone Market. 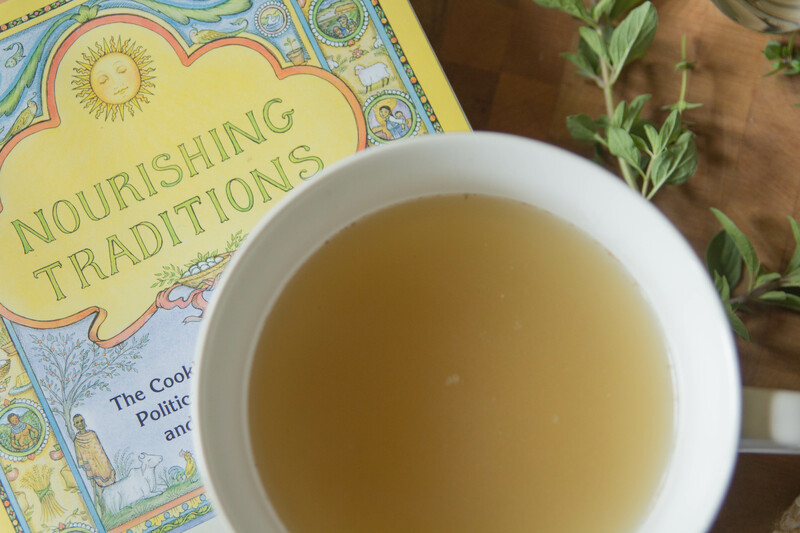 With the rising interest in organic food, people are discovering the benefits of bone broth, an ancient staple used by our great-grandmothers and fine chefs around the world, both for its rich taste and nourishing qualities such as helping with digestion, strengthening bones and revitalizing skin. 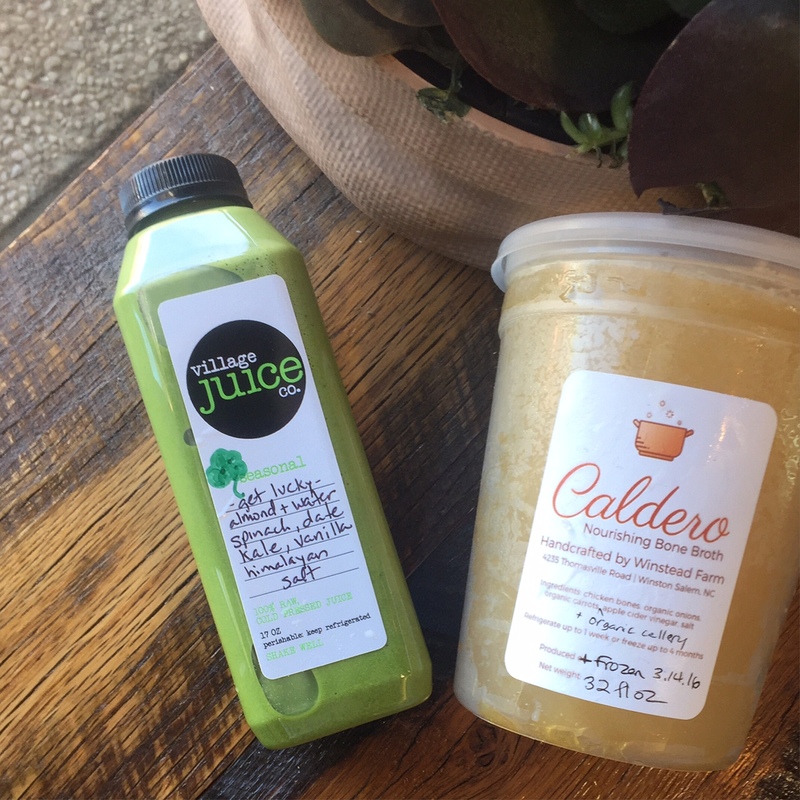 Propelled by the hipster generation, bone broth has made its re-appearance on the food scene as people choose healthier lifestyles and realize the importance of unprocessed local foods. This popular kitchen staple has also appeared in Winston-Salem’s backyard where Gwen Roach cooks up 30-gallons of her delicious Caldero Bone Broth at a time, offering it for sale at local markets to a burgeoning clientele of discriminate buyers. Although the Roaches are fully committed to their wholesome way of cooking now, they did not always carry this value for organic foods. “It wasn’t until I walked through some health issues with trying to have children that I realized this whole hormone thing about food and how it affects your body is a real thing,” Gwen said. “Going through that period of time helped me realize that food has an actual bearing on how my body works,” she added. 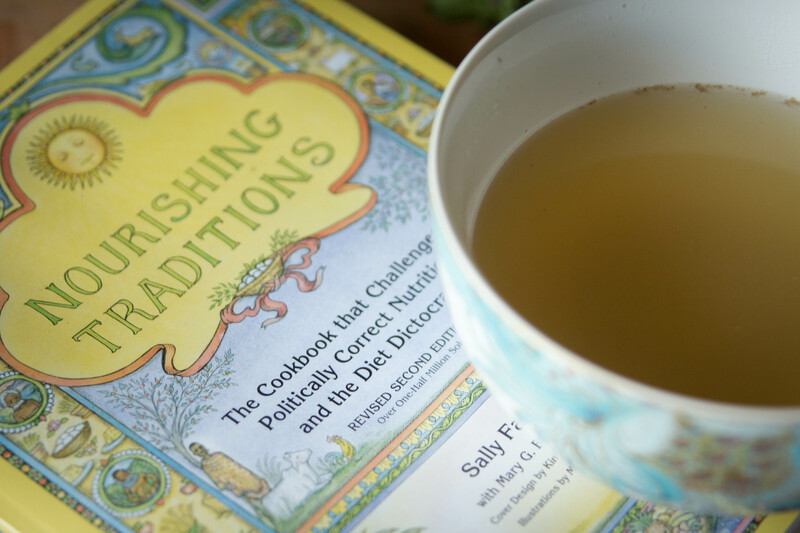 The inspiration for Gwen’s broth came from reading the works of Westin A. Price, an early 1900’s dentist who studied various cultures of the pre-industrial society to discover similarities in diet which promoted strong teeth and bodies mostly free from diseases we struggle with in America. “The similarities in all these cultures were cooking meat on the bone and making broth from the bones,” Gwen explained, “as well as eating organ meats, fresh vegetables and fermented foods.” Gwen began experimenting by making broth from a variety of bones and soon friends and neighbors were asking her to make broth for them. It wasn’t long until she figured out the profitability of manufacturing a sip-able broth to meet the demands of consumers in this area. Since her initial launch of bone broth in area stores, Gwen has had to increase production to meet the demand of new businesses that carry her product – places such as Robinhood Integrative Health and Twin City Chiropractic who promote the broth to their health conscious clients. And for a young family committed to a sustainable lifestyle on their small farm, this is good news. The Roaches believe what sets their product apart from others is the feed they are using for their chickens. Produced by Hiland Natural Feeds, it is the only feed (to their knowledge) that is DNA tested for GMO’s. This feed is grown pesticide-free in Ohio’s Amish country and is more affordable than most non-GMO feeds. The satisfaction they derive from knowing the product they are selling to customers is the result of good choices made all along the process, starting with clean feed for their flock and ending with a golden broth filled with healing properties echoes their belief in the importance of food we eat and how it affects our bodies. 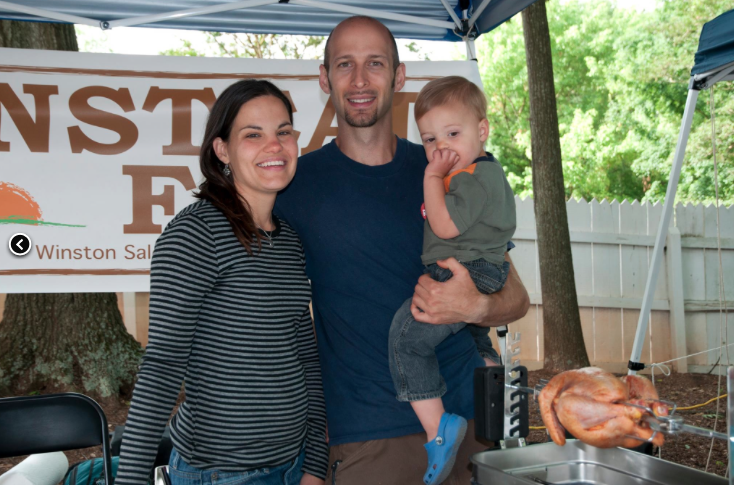 When the Cobblestone Market in Old Salem opens for its fourth season on April 9, you will find the Roaches at their booth, Winstead Farms, with fully stocked ice chests of chicken, bone broth and eggs. And you’ll probably see their youngsters, ages 3 and 5, sipping on little cups of broth freshly poured from a Stanley thermos, or running around happily with other children in this growing community of vendors. “It’s a huge privilege to have been a part of this market since season one,” Gwen said. “This is an incredible community and we love the loyalty of our customers,” she adds. So whether you need a chicken to prepare for a dinner party, or are interested in broth for medicinal or cooking purposes, stop by the Cobblestone Market each Saturday. For as French chef, Auguste Escoffier said, “Without broth, nothing can be done.” And who are we to argue with the French? 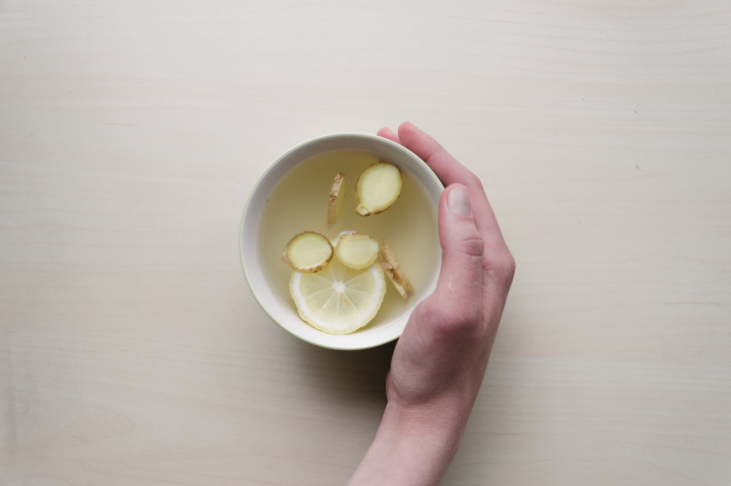 Want to make your own broth? Naomi Gingerich is a freelance writer, storyteller and food blogger born in the scenic hills of Ohio’s Amish country and raised by parents whose lives revolved around farming, ministry and daily gatherings around the table. The simplicity of their lifestyle combined with a passion for home-cooked meals and deeply-rooted community causes Naomi to carry these same values into her own family as she infuses the culture of modern living with traditions of her Mennonite heritage. In 2007, Naomi and her husband, Fred, moved their family of three children to Winston-Salem, North Carolina where, at the age of 46, she fulfilled a lifelong dream of attending college, something she had been forbidden to do as a teenager in her conservative culture. Now, Naomi encourages others to follow their dreams, knowing it’s never too late to start on a new path. A frequent host of farm-to-table dinner parties, Naomi depends on local farmer’s markets for the fresh ingredients she values for cooking with the seasons. Her blog, The Cooks in the Kitchen features mouth-watering recipes and stories of her Mennonite culture and includes interviews with cooks from around the world in a weekly Friday post. In addition to her passion for cooking and photography, Naomi is a regular contributor to Winston-Salem Monthly Magazine. When she’s not perusing a cookbook or whipping up a cake, she spends her free time hiking and enjoying the outdoors with her husband and their Golden Retriever, Miles Davis. A condensed version of this article appeared in Winston-Salem Monthly Magazine, March 2015. Oh Yay! Thanks for the love, Andrea!